1 edition of The Song of Songs found in the catalog. Add another edition? 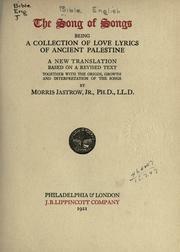 Published 1921 by J.B. Lippincott in Philadelphia .